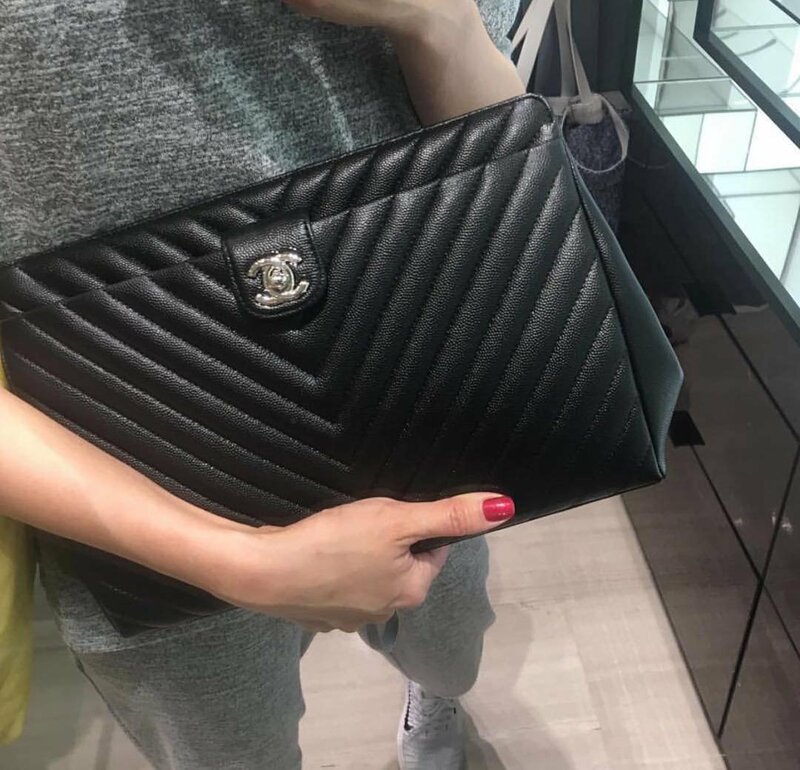 If you’re looking for a quilted pouch that looks effortlessly beautiful, might as well taking a look at Chanel’s Chevron Quilted Pouches. Known for their meticulous artistry and craftsmanship, Chanel pays close attention to quilt details. We’ve seen how Coco Chanel revolutionized the world of handbags and shoulder bags and her legacy continues to live on. Look luxuriously elegant, polished and modish with Chanel’s Chevron Quilted Pouch. This black beauty is such a sight to behold especially with its well-known Chevron Quilted print. Pair it over your pantsuits or your freely flowing maxi dress, vintage sunglasses and red lipstick as you strut the streets, and people will mistake you as a living vintage goddess who knows how to wear retro fashion. This quilted pouch is quite big so you can stash your make up kits, phone, wallet and other essentials with no glitch. By the way, we are loving the CC clasp strategically placed in the center front that shines as brightly as your smile. No details yet as to the measurement and price but once we get the word, we’ll definitely let you in on the news.